Guerrilla premieres in the US! Guerilla premieres in the US at 9PM on Showtime this evening! Tune in Sundays to see this exciting series! Daniel Mays stars as Inspector Liam Cullen. Daniel Mays is Inspector Cullen in the Showtime and Sky Atlantic series Guerrilla. Chief Inspector Pence’s right hand man is Cullen a great cop and loyal to a point. But he is more of a humanist than his boss, and he clashes with Pence over the best way to reign in the in the movement without further fanning its flames. Guerrilla premieres on Sky Atlantic at 9PM on Thursday 13 April and on Showtime at 9PM Sunday 16 April. Showtime has released a video for Guerrilla featuring the cast and creators – John Ridley, Idris Elba, Freida Pinto, Daniel Mays, and Rory Kinnear – of the new SHOWTIME original series Guerrilla. They discuss the show and its historical and contemporary significance. From Academy Award® winner John Ridley (12 Years A Slave, American Crime) comes the six-part limited event series GUERRILLA, a love story set against the backdrop of one of the most politically explosive times in U.K. history. It tells the story of a couple whose relationship and values are tested when they liberate a political prisoner and form a radical underground cell in 1970s London. Their ultimate target becomes the Black Power Desk, a true-life, secretive counter-intelligence unit within the Special Branch dedicated to crushing all forms of black activism. While the series is set against a background of social and political activism, at its heart GUERRILLA is about a relationship under pressure, and the reality that for any couple there comes a point when the choices they make have real and lasting consequences. GUERRILLA stars Screen Actors Guild Award® winner Freida Pinto (Slumdog Millionaire) and Babou Ceesay (Getting On). Golden Globe® winner Idris Elba (Luther, Beasts of No Nation) co-stars and serves as an executive producer through his Green Door Pictures. Additional cast includes Laurence Olivier Award winner Rory Kinnear (PENNY DREADFUL), Nathaniel Martello-White (Deadmeat), Daniel Mays (Line of Duty), Denise Gough (People, Places & Things), Brandon Scott (Grey’s Anatomy), Zawe Ashton (Fresh Meat) and Nicholas Pinnock (Fortitude). Don’t miss the series premiere in the UK on Thursday 13 April on Sky Atlantic and in the US on Showtime Sunday 16 April at 9 PM ET/PT. Daniel Mays stars as Cullen. Sky Atlantic and Showtime held a cast and crew preview screening of Guerrilla last week. Guerrilla premieres on Sky Atlantic on 13 April and on Showtime on 16 April. Book tickets for the Radio Times Festival closing gala on 9 April 2017 featuring Guerrilla. 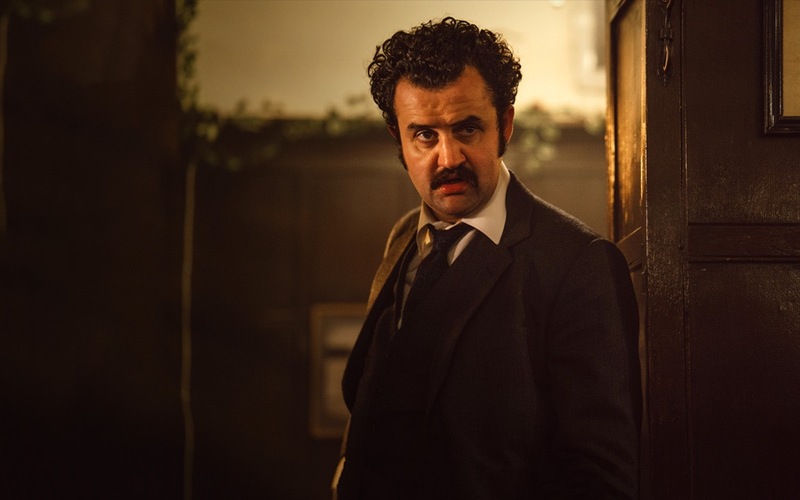 Very happy to announce that that Daniel Mays has joined the stellar cast line up of Sky Atlantic and Showtime’s ‘Guerrilla‘ along with Rory Kinnear. They join previously announced cast Idris Elba, Freida Pinto. Rory Kinnear and Daniel Mays have been cast as Pence and Cullen, members of Special Branch’s Black Power Desk. ‘Guerrilla’ is a limited, six episode series that will air in the UK and US sometime in 2017. Filming began this week London. We will have more news on this exciting project in the coming weeks!